Australia is a massive country, which makes it hard to know where to start exploring it if you only have a limited time. Its east coast offers countless “must-sees” that attract travellers from around the world. Experience everything from the iconic Sydney Opera House and the majestic Blue Mountains to wine country, the Gold Coast, the Great Barrier Reef and the dazzling Whitsunday Islands on this captivating road trip from Sydney to Cairns. Your unforgettable journey begins in the multicultural city of Sydney, Australia’s oldest and largest city. While you’re here you won’t want to miss the opportunity to take advantage of its many attractions. It’s jam-packed with delicious cuisine, history, art and nature while being adjacent to miles of sandy beaches and famous waves for surfing. Of course, it’s also home to iconic landmarks like the Sydney Opera House. 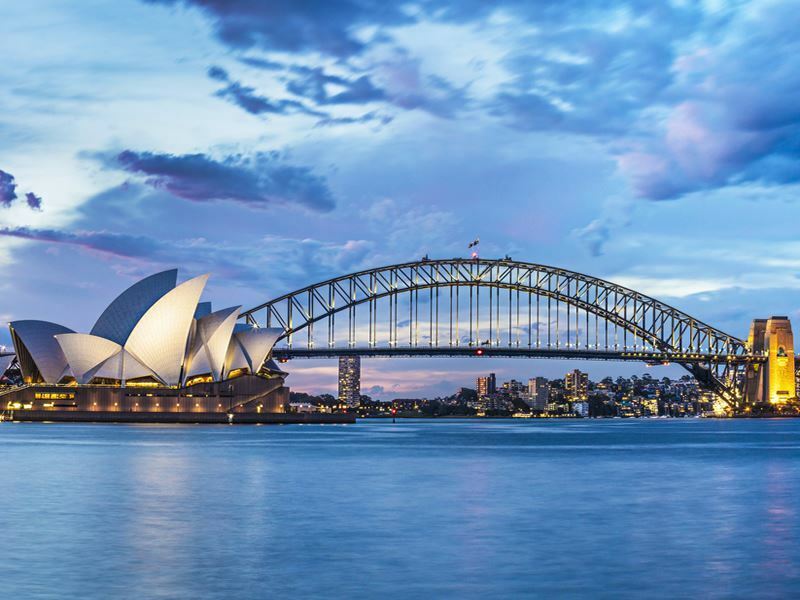 Capture a postcard-perfect photo from one of the ferries, Mrs. Macquarie’s Chair in the Royal Botanic Garden or from the walkway that spans the length of the Cahill Expressway. A shot from here includes both the harbour and the famous building. If you want a view from above, head to the Sydney Tower, soaring more than 300 metres over the city. From there you’ll be able to take in jaw-dropping views stretching as much as 80 kilometres in every direction. Drive the Great Western Highway to the Blue Mountains, a verdant region with steep gorges that are often enveloped in a blue haze due to the mist of evaporating oil that emanates from the many eucalyptus trees. The area is famous for the iconic Three Sisters, an unusual rock formation with cultural significance to the Aboriginal people. 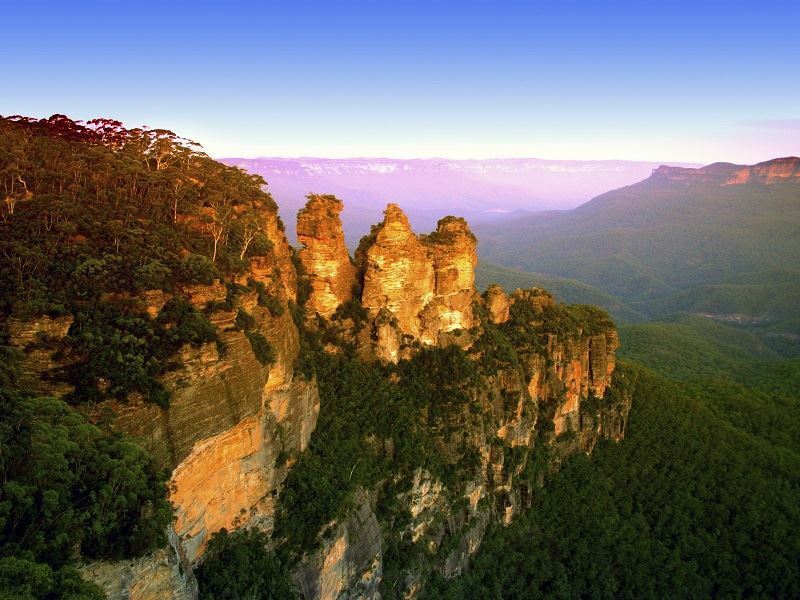 An easy, less than kilometre up-an-back walk provides some of the best views in Blue Mountains National Park and will take you close to the famous site. Enjoy more spectacular views that can’t be found anywhere else by visiting Scenic World. It hosts thrilling rides that offer a look at the Three Sisters and Katoomba Falls from above via the Cableway and Skyway, as well as the steepest railway in the world which descends into the rainforest. The underground here brings even more stunning scenery. There are crystal-clear underground rivers, stalagmites and stalactites as well as crystal limestone formations in Jenolan Caves. 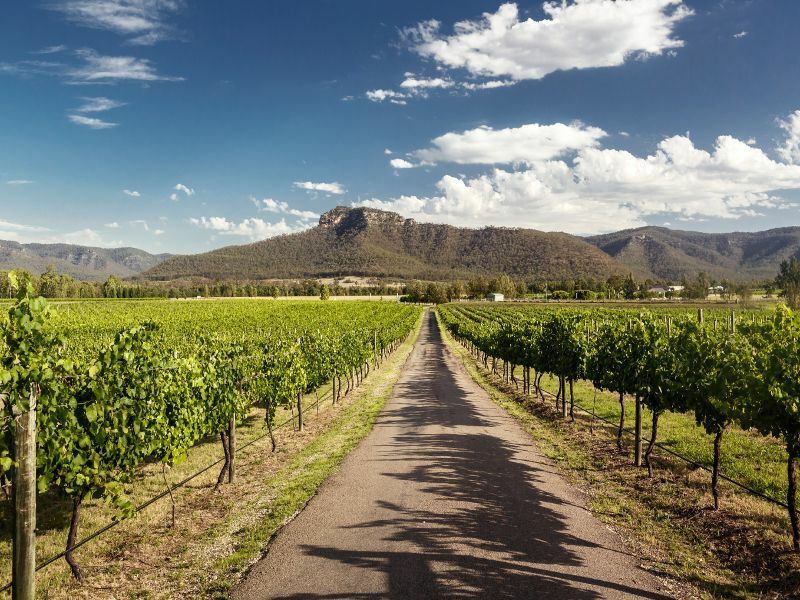 As the majestic Blue Mountains fade in the distance, journey to the Hunter Valley, Australia’s oldest commercial wine-producing region, dating back to the 1860s. Its over 150 years of rich heritage can be tasted in its wine, and there are some 160 wineries here to explore. Learn more about how wine is produced here and enjoy tasting the Pinot Noirs, Cabernet Sauvignons, Chardonnays, Semillons and Shirazes. The fertile valley also produces olive oils, cheeses and smokehouse products that can help you put together the perfect picnic. You might want to stop in to the boutique cheese making Hunter Valley Cheese Company for a sample too. Other options include a hot-air balloon ride over the vineyard-filled landscape, horseback riding and golfing. Travel towards Newcastle before heading north along the coast. Taree makes a great stop for lunch in the heart of the Manning River district. You might want to visit Harrington Beach State Park which includes the northern entrance to the river, located on the New South Wales Mid North Coast Before venturing to Port MacQuarie. A highlight here is the Crowdy Head Lighthouse which sits high on the headland providing 360-degree coastal views. If you’re here between May and August, watch for the humpback whales that pass by. 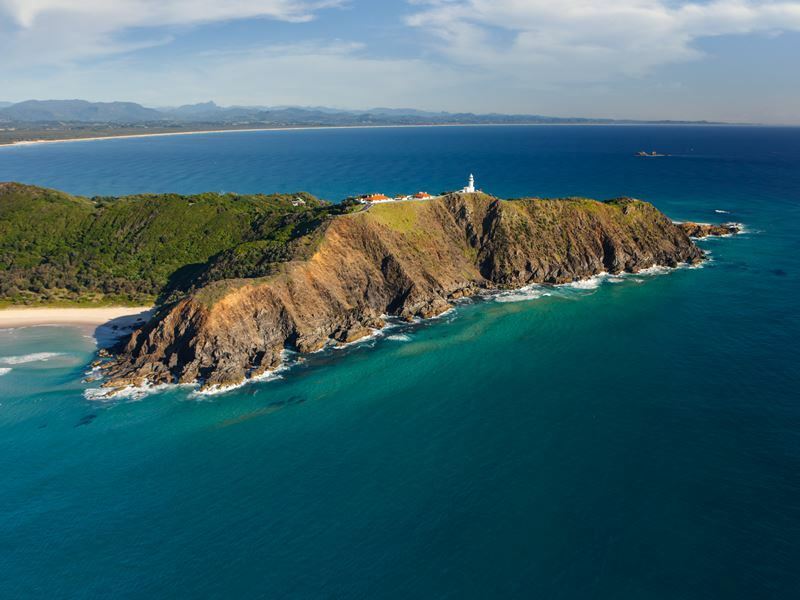 Farther north is Port MacQuarie, one of the state’s oldest towns, famous for its penal colony past, wildlife and beaches. There are lots of attractions here, including camel rides on Lighthouse beach, jet boating and just about every water sport imaginable. A coastal walk leading from the town centure will bring you to the 19th-century Tacking Point Lighthouse which offer another opportunity to watch for whales during the season. Learn more about the town’s history at the Port MacQuarie Museum. Continuing north to Byron Bay, there will be plenty of interesting stops to break up the drive along the way, including charming seaside towns. Coff Harbour’s marina has a collection of restaurants and cafes, and just east is the Muttonbird Island Nature Reserve which hosts a significant population of wedge-tailed shearwater birds. The Butterfly House in Bonville offers the chance to walk among 400 butterflies in a subtropical rainforest setting indoors. They’ll fly all around you, and even land on you, making it a great place to capture photos of the colourful insects. 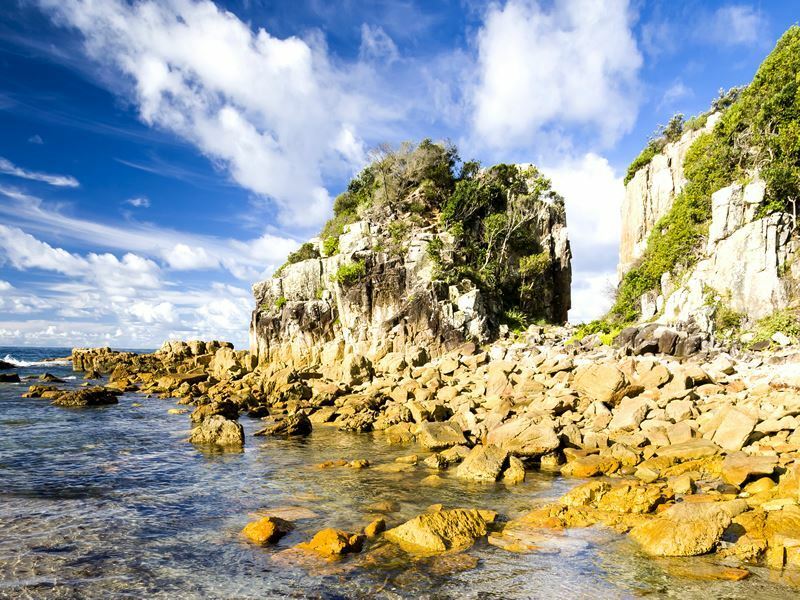 Solitary Islands Marine Park offers excellent bird watching and snorkelling with 858 different fish species found here, along with 30 marine mammal species like bottlenose dolphins which can be spotted here year-round. Humpback whales are commonly seen in June and July as they migrate north to their breeding grounds, and again from September to November when they return south. 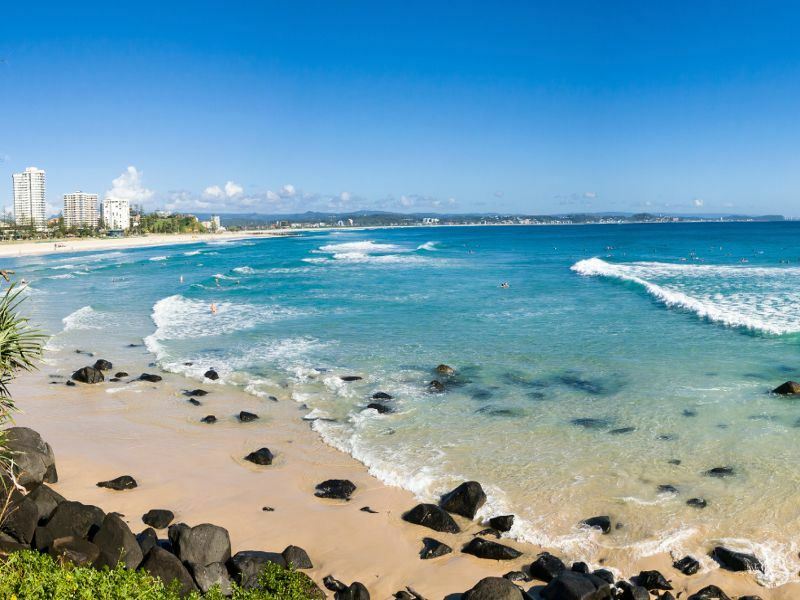 Byron Bay has long-been popular for surfing as one of the top surfing spots in Australia and the world with seven major breaks, but you don’t have to surf to enjoy it. There are many beautiful beaches for taking in the fabulous scenery and just lounging on the sand with a good book. Join a kayak tour and you might just have a pod of dolphins pop up alongside you or snorkel at Julian Rocks, a protected reserve for gentle grey nurse sharks and an ideal place for swimming among sea turtles and hundreds of tropical fish. There are multiple markets to explore in town too, like the Byron Bay Artisan Market, open Saturday nights October through March and the Byron Bay Farmer’s Market open Thursday mornings throughout the year. 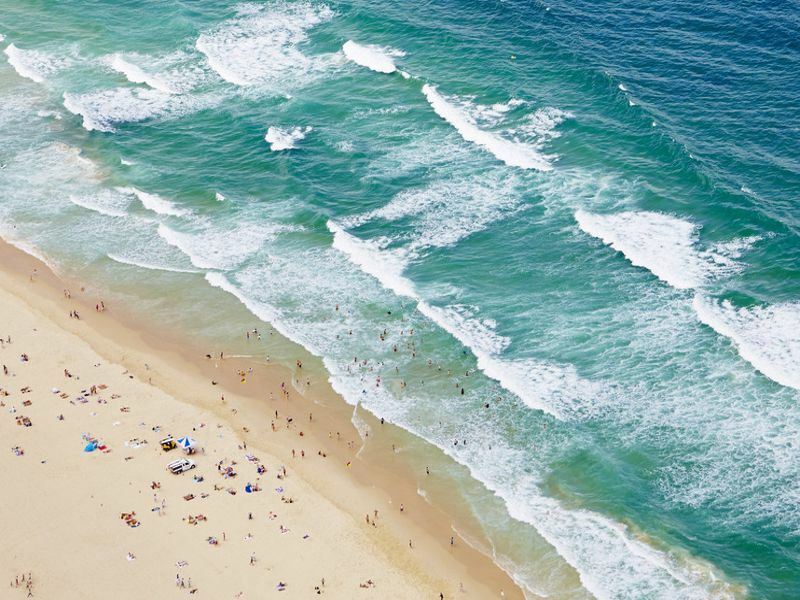 One of the most popular destinations for a beach holiday in Australia is the Gold Coast, just over 90 kilometres north. It not only offers wonderful golden stretches of sand, but a wide range of attractions. Visit the Gold Coast Wildlife Sanctuary where you can cosy up to koala bears, feed kangaroos, take part in wild lorikeet and crocodile feedings, watch Aboriginal performances and free-flight bird shows or even take a dingo for a walk. Take an adventure through the Lost Valley to view unique animals like lemurs, red pandas, capybaras and all sorts of reptiles. In the Hinterland of the Gold Coast is the Tamborine Rainforest Skywalk which showcases the beauty of the rainforest. On Tamborine Mountain you can visit waterfalls and take the Treetop Challenge, with multiple courses that include navigating suspended tunnels, hanging from trees by a harness, balancing on bridges and more. The Gold Coast is also home to Dreamworld, the country’s biggest theme park with five roller coasters and over 40 other rides. Tiger Island offers the chance for close encounters with the big cats while the Tower or Terror reaches speeds of up to 160 kmh in just seven seconds of stomach-churning weightlessness. The park also features the tallest free-falling ride in the world, The Giant Drop, if that isn’t enough. To sample the nightlife, be sure to visit the suburb of Miami. It’s home to the Miami Marketta, which hosts live entertainment on Wednesday, Friday and Saturday nights along with tasty street foods from across the globe, boutique wines and craft brews in a lively atmosphere that’s been likened to Bangkok and New York City. 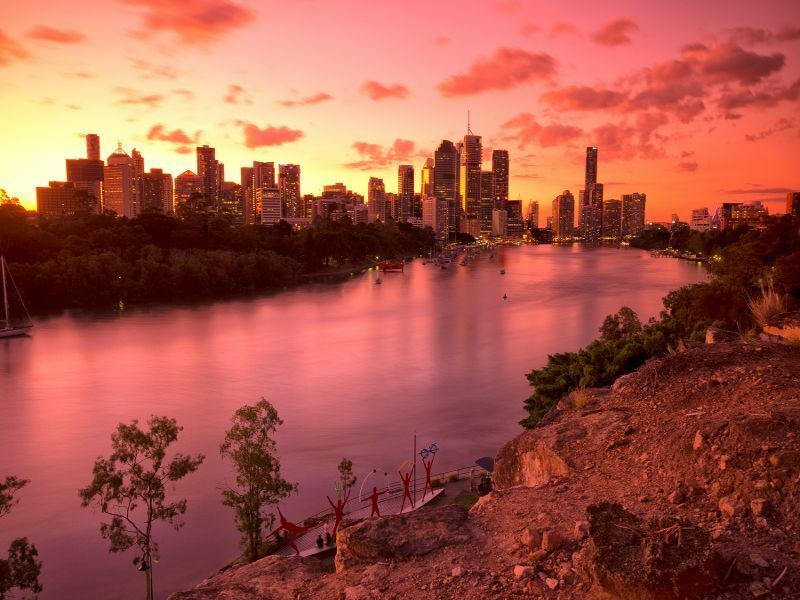 The next leg of your journey will bring you to Queensland’s capital, Brisbane. It offers a cosmopolitan vibe filled with friendly locals, while scenic wine country, beaches and even low-lying mountains for hiking are all just minutes away. You can also discover some of Australia’s best restaurants, a thriving music scene, contemporary art and museums. While it’s near the ocean, this is very much a river city, and its scenic footpaths and waterways are a wonderful way to explore it. Visit the Lone Pine Koala Sanctuary to cuddle up to koalas and get up close to wombats, wallabies, kangaroos, dingoes and snakes. Located on the Brisbane River are even toothy crocs here too. The Brisbane Botanic Gardens Mount Coot-tha offers beautiful views of the city, Japanese gardens Japanese gardens and the world’s largest collection of Australian rainforest trees. If you want to do some shopping the Queen Street mall offers over 700 retailers, and on most Wednesdays, the area at its bridge end becomes a Farmers Market selling artisan products, local produce and flowers. Drive inland to Taroom to experience the typical outback landscapes of Queensland. Along the way are multiple historic towns and brilliant orange sands. There are all sorts of treasures to discover in the red dirt of the Outback in Queensland. In the quiet town of Taroom you can visit a typical local folk museum which combines local historic materials with multiple buildings from the surrounding area, including a boat house and blacksmith shop, while offering information about the local area. North of Taroom, the Isla Gorge National Park offers a magnificent landscape of gorges and sandstone cliffs. The main gorge can be reached via a 1.4-kilometre road that leads to a viewing point. From there you can take a narrow path for even more dramatic views. 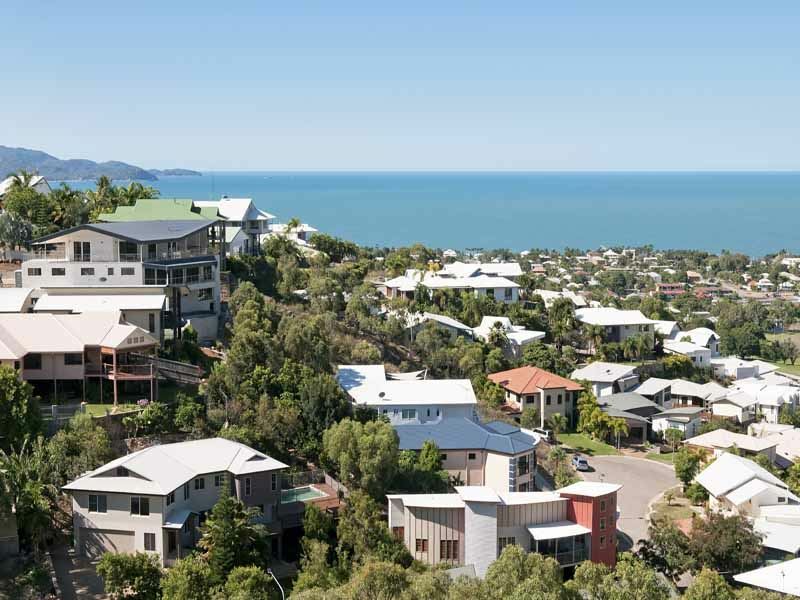 Continue to the seaside town of Yeppoon, a place you might want to stick around for a while. It offers a little bit of everything, including sandy beaches for lounging on and spotting sea turtles, sunset sailing and snorkelling, as well as bushland with jungle and native wildlife to explore. You can also dine on fresh seafood paired with fine wine and experience the fabulous café culture. North of Yeppoon along the coast, Airlie Beach is considered the gateway to the legendary Whitsunday region. This tropical town with palm-lined beaches, alfresco restaurants and beachfront parks is a popular spot for visiting the Whitsunday Islands and diving the Great Barrier Reef. Enjoy swimming at Airlie Beach Lagoon, a manmade swimming area with a beach and park, and sample the dining scene. You’ll find a number of restaurants for savouring the city’s bounty of fresh seafood along with uninterrupted views of the sea and the Whitsundays. If you’re up for an excursion of a lifetime, take a flight-seeing tour via helicopter or seaplane over the Whitsundays, including Whitehaven Beach, renowned as one of the most stunning beaches on Earth, with some of the world’s whitest sands. 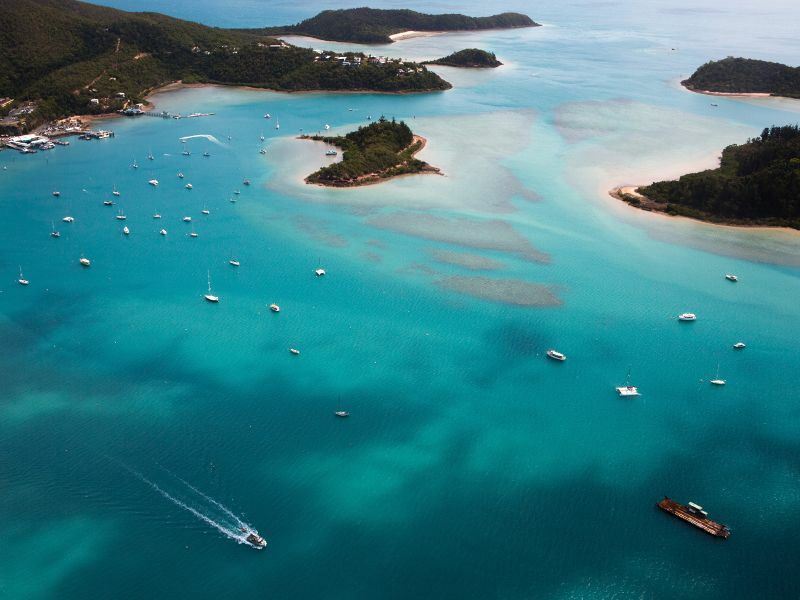 Or, embark on a sailing excursion through the islands with multiple options available from Airlie Beach, including everything from barefoot charters to luxury cruisers. Driving north to Townsville you’ll pass a number of small towns like Bowen, Australia’s mango capital with a big mango you can take a selfie in front of. 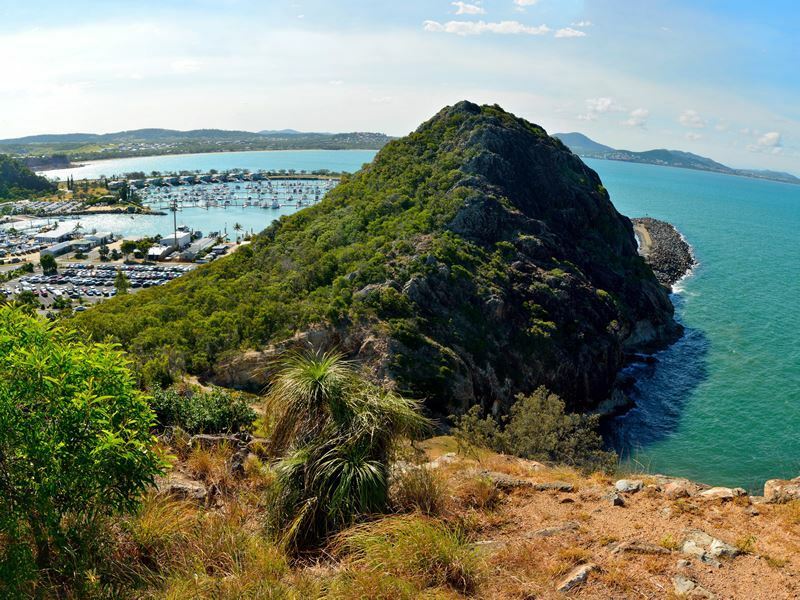 Venture off the highway just north of Airlie Beach if you want to discover some of the region’s best-kept secrets like Dingo Beach and Cape Gloucester. The coastal city of Townsville may best be known for its Reef HQ Aquarium which showcases coral and marine life from the Great Barrier Reef, along with a sea turtle hospital. The waterfront esplanade known as The Strand is an ideal place for an evening stroll. Your final destination is Cairns, a small, pretty city along the coast with a laidback atmosphere. It’s also an outdoor adventurer’s paradise, with the Great Barrier Reef, the rainforest and the mountains all at its doorstep. First, stop in Babinda, tucked between the two highest mountains in Queensland. It boasts breath-taking waterfalls with smooth granite boulders at the bottom that create tranquil freshwater swimming holes, ideal for a dip on a hot day. 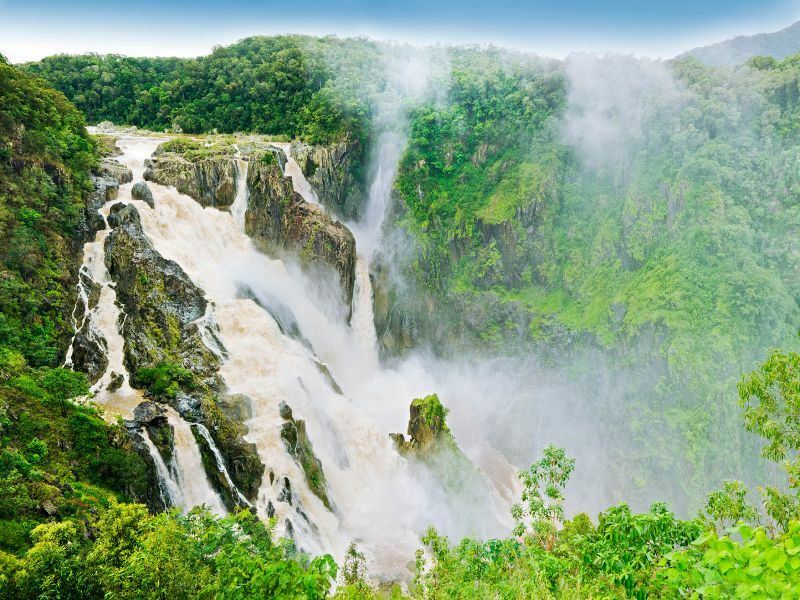 Once in Cairns, you’ll find plenty to do, including swimming or lazing in the sunshine at Esplanade Lagoon, hiking one of the nearly 200 trails in the surrounding mountains or even bungy jumping, if you’re extra adventurous. This is the capital for the extreme sport in Australia, and here you can jump from a 50-metre=high tower in the rainforest canopies, dipping your head into the cool stream below – perhaps the ultimate way to end this grand road tripping tour. But if you’re looking for something a less daunting, the Cairns Wildlife Dome offers a wildlife exhibit that includes a rainforest environment with free-flying birds like parrots, cockatoos and lorikeets as well as animals like turtles, pythons, crocodiles, koalas, kookaburras and wallabies.